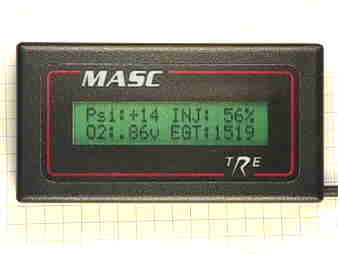 The MASC (Mass Air Sensor Controller) by TRE, uses a microprocessor to modify the MAP sensor output to the logic module. It gives you 10 ranges of sensor input with which you can adjust the output. It works similarly to the graphic equalizer on a stereo system. This unit gives you the most control over the mixture over the entire load range of the sensor. This unit comes with a 2.5 bar MAP sensor, or you can also use the Super 60 3 bar MAP sensor for up to 30psi of range. If you take into consideration that the TRE MASC provides about $200 is guages in addition to the fuel curve control, the $600 price tag doesn't look quite as steep. This page is maintained by Russell W. Knize and was last updated 09/17/98. Comments? Questions? Email minimopar@myrealbox.com.